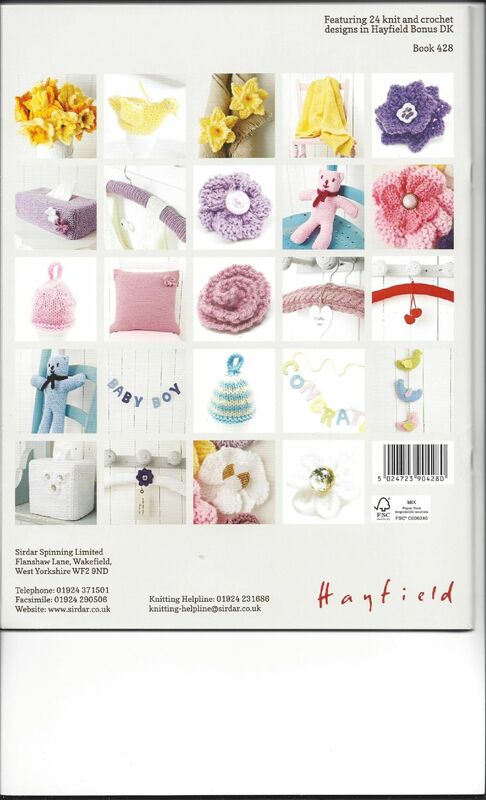 This is the second Big Book of Little Knits created in Hayfield Bonus DK, which is crammed full of the prettiest hand knits and crochet designs to make as gifts or to decorate your home. 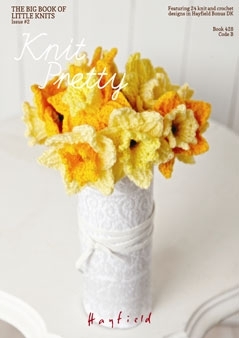 We have created some delightful little knitted flowers in gorgeous spring colours incuding purple pansies, pink rosebuds and happy yellow daffodils. It's just so cheerful to have a bunch of spring daffodils that lasts all year round! 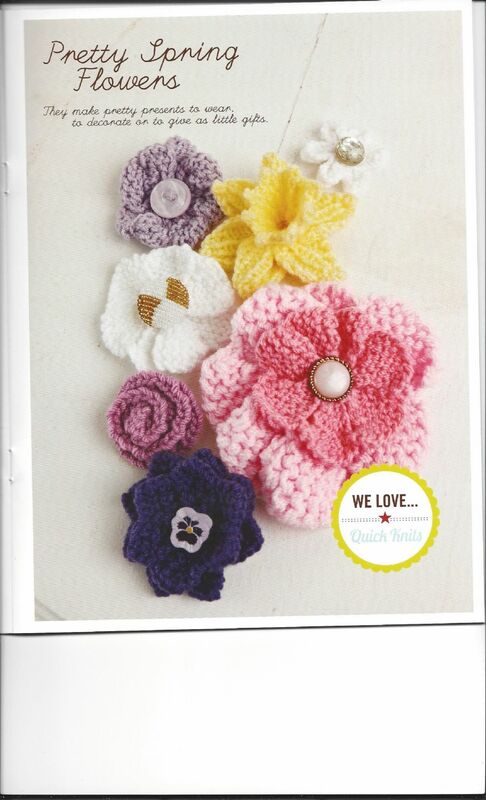 They're a creative gift of Mother's Day or for a spring birthday. 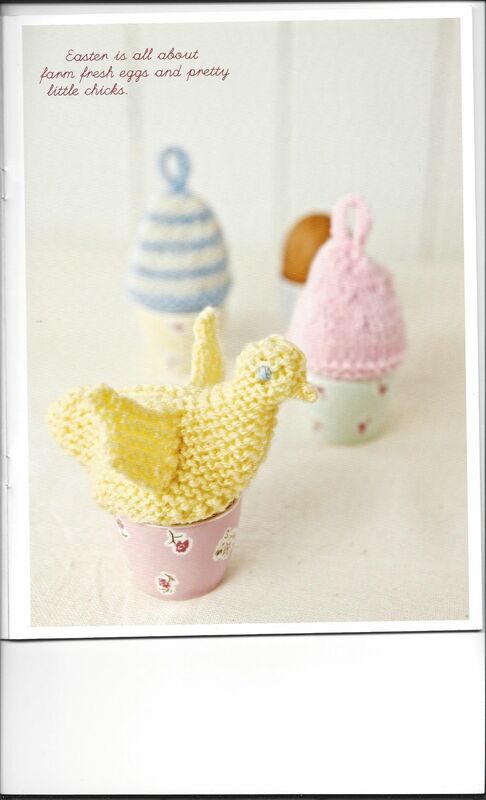 We have gift ideas for Easter too, with three pretty pastel egg cosies, including a chirpy little chick with wings. Announce the arrival of new baby with our knitted 'Congratulations' bunting, create our birdie mobile, or crochet our beautiful yellow baby blanket to brighten up the nursery. We've also designed the simplest little teddies knitted in Powder Pink for girls and Iced Blue for boys - they're adorable gifts for a first birthday. 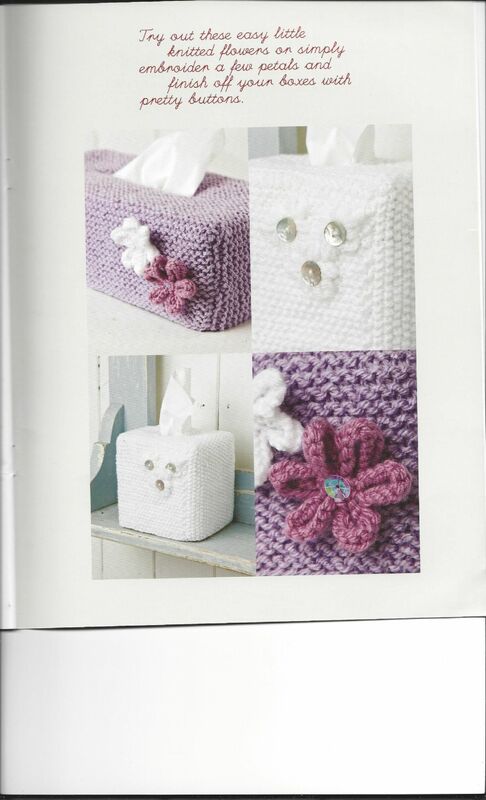 Have a little fun with our projects and look out for more Big Books of Little Knits.